I recently had a good friend starting a real estate career. And I can tell you that finding the right office was, for him, invaluable. I can say this confidently because he painstakingly interviewed with 6 or 7 different offices with different firms and finally settled on one. Within 1 week he was second guessing himself. Within 2 weeks he changed offices. 1 Week later he was confident he had found his new home and I could hear a noticeable difference in his confidence level. What an amazing difference the “Right” office makes. What is the office culture? I used to do office presentations and have been to hundred’s of different real estate offices. Did not seem to matter… each office had its very own culture or style. My real estate marketing mentor was a top 1% producer and went on to be the head trainer for a large firm. I would often attend his training courses to learn the business and to get new clients. During this time I met 100’s of brand new real estate agents just getting started. Even though these agents would pay Thousands of Dollars to attend this class, I noticed that most would NOT Be Excellent Students. One student in particular that was heavily engaged in the class went on to become “Rookie of the Year” and later on a top producer. One of the biggest mistakes that I see new agents make is spreading themselves to thin. They want to market over here, and sign up for this over there, and blog, and make videos, and market to this town, and that neighborhood. I suggest you pick 2 or 3 things to focus on and do them really well. Do them well enough that they are bringing you a steady stream of business. Once you have that stream, you can add another stream or two. 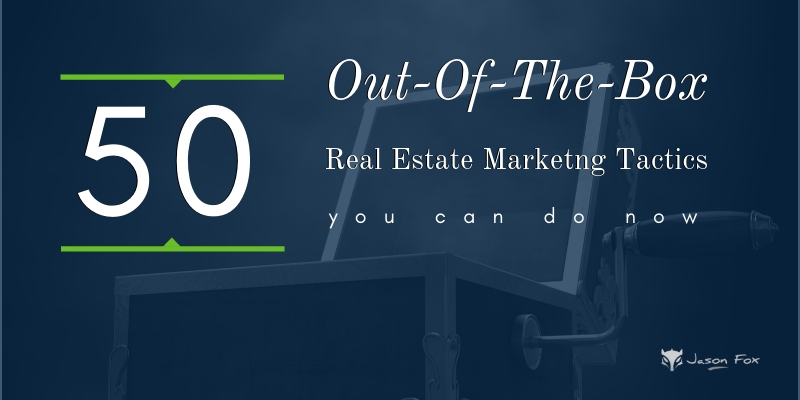 Question: What is the best 2 or 3 marketing ideas when starting a real estate career? Answer: It depends on you. What will you feel passionate about, get excited about, and work on consistently until it works? It is 2014 and everyone owns a smart phone. Well not everyone, but it sure feels like it. Take advantage of technology and embrace it. A Robust CRM (Client Relationship Management) system. This is just good life advice. If you are not moving forward then you are standing still. If you are standing still someone will be passing you. Don’t let your competition pass you!